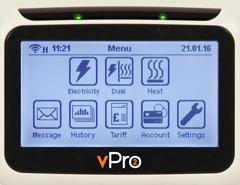 The vPro2 smart heat metering and billing solution has been designed to offer energy service providers and landlords a secure, reliable and cost effective metering solution which brings customers an intuitive, feature rich system designed to give them the information they need to make informed decisions about their energy usage. Our smart metering solution combines competitive pricing with ease of operation to create an attractive solution for developers, housing associations, universities and energy service companies who require a system with flexibility, security and control. The vPro2 system can be operated in prepayment or credit billing mode. It is possible to remotely switch between these two modes without having to access the property. In prepayment mode, the resident buys ‘credit’ via multiple payment including including Payzone and PayPoint, online, telephone, Direct Debit. As they use heat energy, this is communicated to the system which deducts credit from their balance until eventually, when their credit is exhausted; the system closes the valve within the Hydraulic Interface Unit (HIU) to stop the tenant using any more heat energy. In credit billing mode, the system displays their accumulative balance of consumed heat energy until the end of the month or quarter when this balance is converted in to a bill for that billing period and the balance is reset for their next billing period. We understand that debt management and recovery is a large issue for many landlords and housing associations so the vPro2 system allows debt recovery at the pace you specify. The system allows a percentage of top ups to be allocated towards debt repayment and we can work alongside our clients to set recovery timescales which ensure debt reduction at a pace which doesn’t create hardship for tenants. Our metering and billing department has a wealth of experience helping landlords and energy providers to reclaim debt in a compassionate way and are happy to work with your team to set tariffs, create recovery models and ensure that your goals are met. As each meter can be switched between credit and prepayment options this system allows you to keep vulnerable customers on a credit billing system, ensuring their supply is never interrupted. Additional safeguarding measures allow reports to be issued to named individuals, updating them when residents have become disconnected. The system can be remotely managed, reducing the need for access into tenants' premises. Credit can be applied, tariffs updated and billing modes switched remotely from within the system and meter readings are collected remotely and transmitted to Vital Energi’s head office. The vPro2 system is one of the most competitively priced smart metering solutions on the market and is perfect for both the new build and retrofit market, due to the fact it requires no infrastructure upgrades. Each meter has its own SIM card, creating a separate network over which it can transmit secure, regular, high definition data which reduces the risk of network-wide issues and means the vPro2 system is competitive for any size communal heating scheme. At its heart, the vPro2 system was created to be user friendly and its In-Home display allows tenants to access a wealth of information designed to keep them informed and help to create behavioural changes. In addition to essential information, such as the amount of credit left and estimates of how long that credit will last, customers can also check their energy usage and set targets to try and reduce their usage, both saving money and helping the environment. Top ups can be made using credit and debit cards or by setting up an online direct debit. Alternatively they can call our customer support team to make payments over the phone or purchase credit from any Payzone or PayPoint shop across the country. Our system also comes with Emergency and Friendly credit options. Emergency credit can be included that will provide residents with a limited amount of debt for emergency use. This is displayed to the resident via a negative balance and on the next top-up the full value of the emergency credit will be recovered first. The landlord or housing asscoiation can specify “Friendly Credit” hours where a resident will not be disconnected if they have no credit during that period. Vital will publish to the client, friendly credit days where heat will not be isolated, such as bank holidays, Christmas etc. The In-Home Display (IHD) provides a visual and audible alarm when credit reaches £1 and £0, and requests confirmation for use of the emergency credit feature. Secondary alerts can be configured by the resident for their own requirements. Customers can be assured about the security of the system, with the encryption technologies set above industry standard levels. Additional safeguarding is prevented in the form of fraud prevention, with credit and debit card transactions processed with 3D secure technology. All this is underpinned by a comprehensive, friendly and helpful customer service department, dedicated to ensuring all vPro2 customers have the best customer experience possible. The vPro2 system enables a wide range of reporting, allowing us to send tailored information to our clients. These can be done in consultation with the client to ensure they have the information they need and can include consumption data, payment methods and debt reduction. The vPro2 system works with a variety of heat meters. Vital Energi offer the Sharky 775 which uses proven ultrasonic technology to accurately record heat energy consumption. The manufacturer, Diehl, is one of the largest manufacturers of metering products in the world, producing over 2 million meters a year. 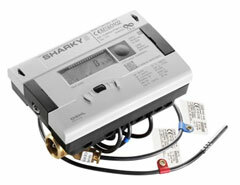 The Sharky 775 has the possibility of up to 3 communication outputs including radio and 2 further outputs for connection to a management system as well as the vPro2 prepayment system. The Sharky 775 has a versatile range of power supplies including 16 year battery and mains power options. The meter has alarms to show any errors or if the battery power supply is coming to the end of its life. The meter is MID Class 2, therefore also compliant with the RHI and Heat Network (Metering and Billing) Regulations 2014. Vital Energi have installed over 7000 prepayment solutions throughout the UK and this experience has taught that a robust and reliable prepayment valve is crucial to the success of the prepayment system. The Belimo 2-port valve and spring return actuator has proven to be a very reliable and robust valve throughout the many installations we have carried out. 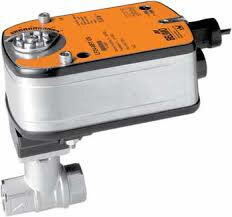 Belimo are the worldwide leader for actuator and valve technology in heating, ventilation and air conditioning systems. The valve and actuator can be installed within the HIU to minimize the opportunity for tampering. The vPro2 system also provides alarms in the unlikely event that the valve is tampered with or fails. If the system believes the valve should be closed but is still registering consumption from the heat meter then an alarm is raised for our metering and billing operatives to investigate. The vPro2 Connect and display are manufactured by Secure, a leading manufacturer of metering products who have supplied over 1 million meters to the UK market. The Connect unit is located near the heat meter and acts as the brain within the vPro2 system. This collects relevant consumption data, payment and tariff information allowing it to make the relevant decisions such as low credit warnings, isolation of heat services or to update the IHD. It also contains an encryption key to provide security and prevent fraud. The information collected through the connect unit also allows us to determine unauthorised access or interference with the system. It has a display and keypad for commissioning purposes which can also be used to ‘re-pair’ the display in the event that it is lost or damaged. The vPro2 Connect contains a roaming SIM card that works on multiple networks. This provides significant system resilience ensuring that vPro2 will continue to operate even if the coverage of a mobile network is lost. 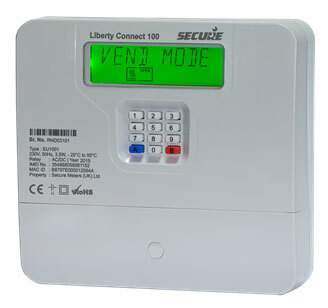 The hub also utilises a dual GSM and GPRS modem to collect incoming data, for example a payment being made, or to allow Vital Energi to collect meter reading information.